Opposition leader Nelson Chamisa at the meeting acknowledged that politicians were the cause of Zimbabwe’s problems. Zimbabwean President Emmerson Mnangagwa today snubbed a meeting organised by the Zimbabwe Council of Churches to broker dialogue between him and MDC leader Nelson Chamisa. The council invited political leaders to a national prayer meeting over the political and economic crisis in the country. Although Mnangagwa had initially indicated he was going to attend, he did not turn up and instead sent Zanu-PF national chairperson Oppah Muchinguri. Chamisa, however, attended the meeting and said he had hoped Mnangagwa would be present. “I realise that my opposite number is not here, President ED Mnangagwa, whom I contested with in the previous election. “I don’t believe that it’s possible for us to exhaustively and thoroughly deal with these issues in his absence. I would have wanted to say what I am saying, in his presence,” Chamisa said while addressing the gathering. The opposition leader acknowledged that politicians were the cause of Zimbabwe’s problems. “Fellow politicians … we are the trouble causers,” he said, adding that there was need for them to confess and repent. 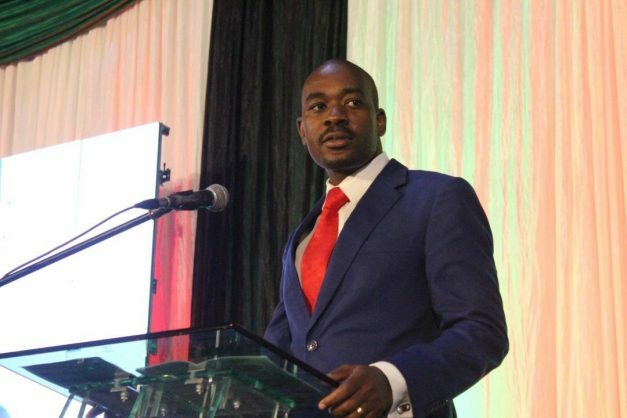 Chamisa poured scorn on a dialogue meeting held at State House on Wednesday attended by 12 other politicians who contested the July 30 presidential election, saying the dispute was between him and Mnangagwa. “Dialogue with any other parties will never resolve our issues. It’s a matter of what is the dispute. The dispute is an electoral result that was not embraced,” he said. Chamisa reiterated his calls for the release of political prisoners and withdrawal of the military from the streets if dialogue was to be achieved. Mnangagwa, in a speech read on his behalf by Muchinguri, applauded the church for taking up the initiative to bring political leaders to the negotiating table. “Congregants of the church are the same players and participants in the political sphere. There is, therefore, convergence between government’s advocacy for peace, love, unity, patriotism and the message of the church as encapsulated in the word of God,” he said. Mnangagwa said interactions and prayers like the one organised by the council “are positive and will help foster positive dialogue between change and all stakeholders”. “Such platforms help in uniting us as one people towards a common vision and shared national destiny,” he said. Zimbabwe has remained deeply divided since the disputed July 30 harmonised elections which were narrowly won by Mnangagwa. Bloodshed has been the hallmark of Mnangagwa’s administration, with at least 23 people having been killed by the military in seven months.